BISMARCK, N.D. (AP) — A deadly arctic deep freeze enveloped the Midwest, forcing widespread closure of schools, offices and prompting the U.S. Postal Service to take the rare step of suspending mail delivery to a wide swath of the region because of the cold. Some buses were turned into mobile warming shelters to encourage the homeless to come off the streets in Chicago, where the forecast for tonight called for temperatures as low as minus 21 degrees (negative 29 degrees Celsius), with wind chills to minus 40 (negative 40 degrees Celsius). Major Chicago attractions including the Lincoln Park Zoo, Art Institute and Field Museum weren’t opening Wednesday. Governors in Illinois, Wisconsin and Michigan declared emergencies as the worst of the cold threatened today. Detroit’s outlook was for overnight tonight for lows around minus 12 (negative 24 degrees Celsius), with wind chills dropping to minus 35 (negative 37 degrees Celsius). A popular saying goes: “Neither snow nor rain nor heat …” will stop the mail from being delivered. But extreme cold will today. The U.S. Postal Service said it would suspend mail delivery today in parts or all of several Midwest states including North and South Dakota, Nebraska, Kansas, Minnesota, Wisconsin, Iowa and Illinois. 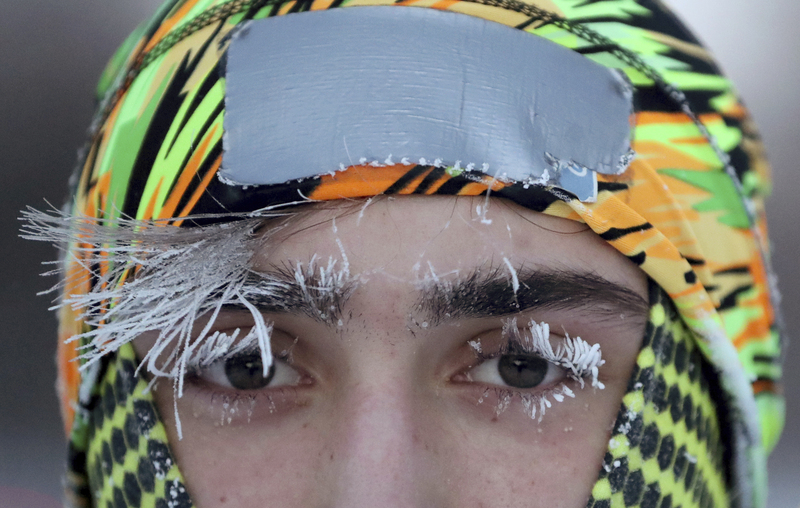 Hundreds of public schools and several large universities from North Dakota to Pennsylvania canceled classes Tuesday or planned to do so today.